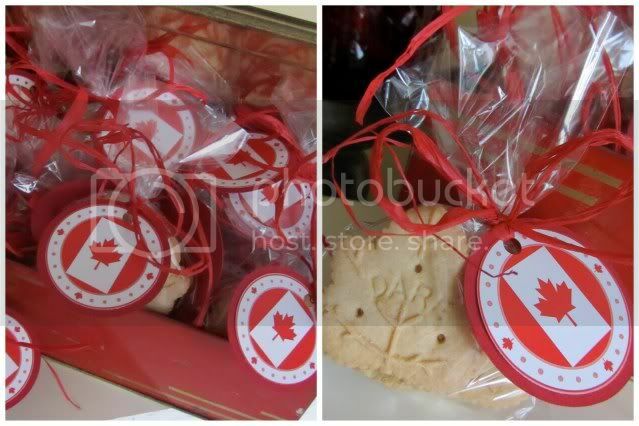 i love the banner, tags, and leaf cookie favors! 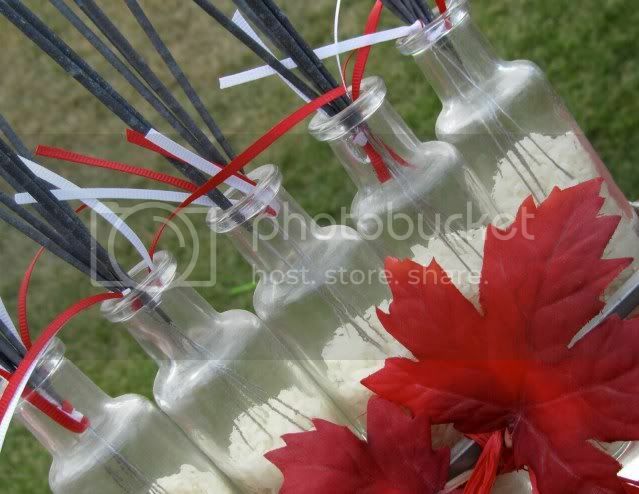 the sparkler centerpieces are so fun, too! you did an awesome job, genevieve. thanks for your submission. This is the most Canadian pride I have seen in my 6 years living in Canada! I am so impressed! 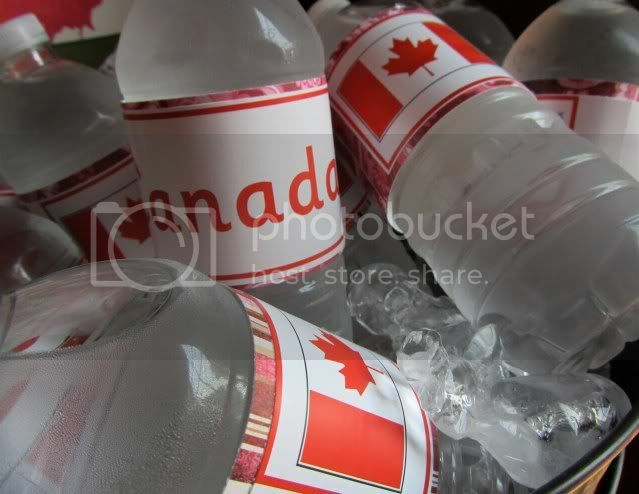 I am Canadian and I am a HUGE fan of your page...I check daily :) Keep up the great work, your page is AWESOME!!! 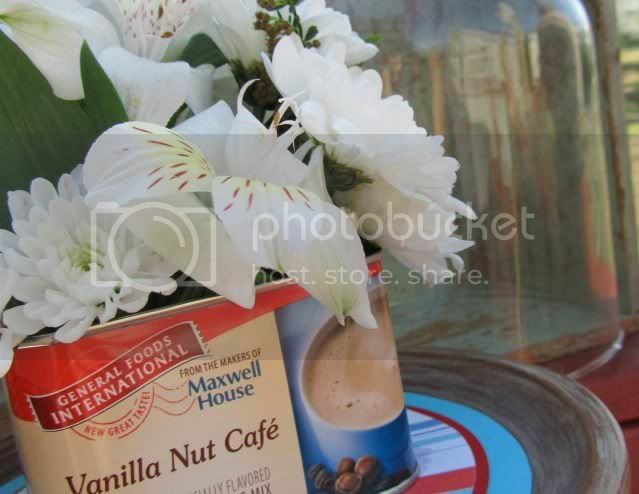 Hi just came across your blog. 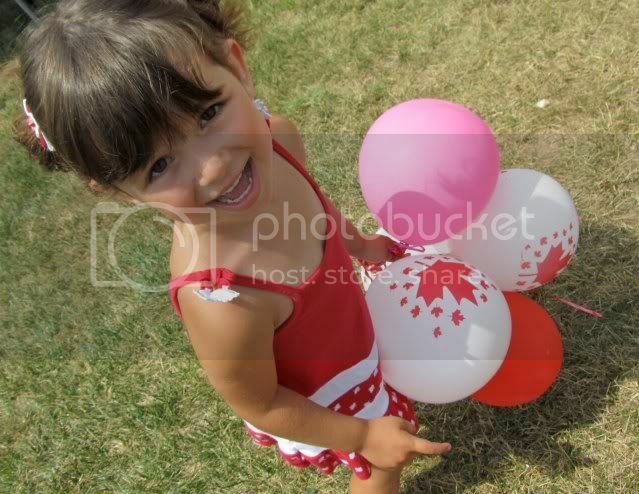 I found it looking for ideas for my baby's upcoming 1st birthday. 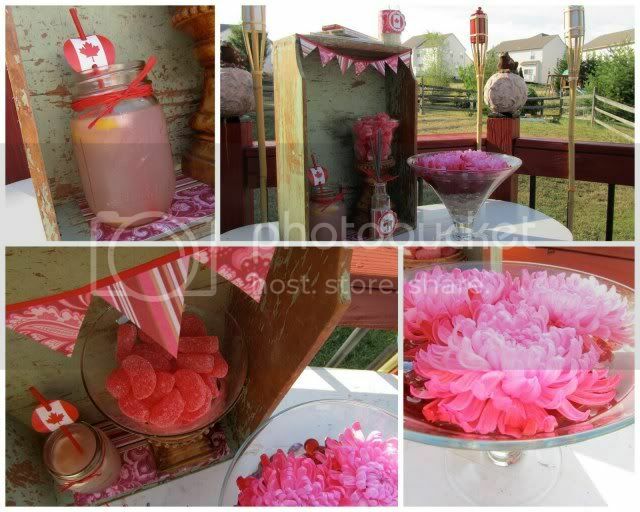 I love this Canada Day party idea. 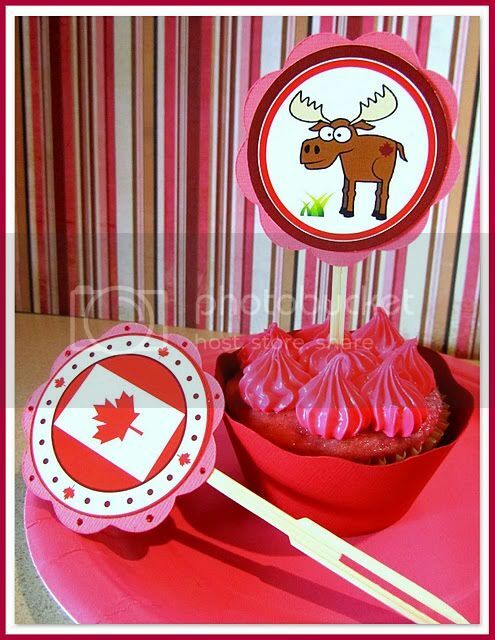 Another one I've seen for Canada Day is a 9x13 cake with white icing and then cut up strawberries to make the top of the cake into a Canadian Flag. Well I'm here in the US but I love this party. 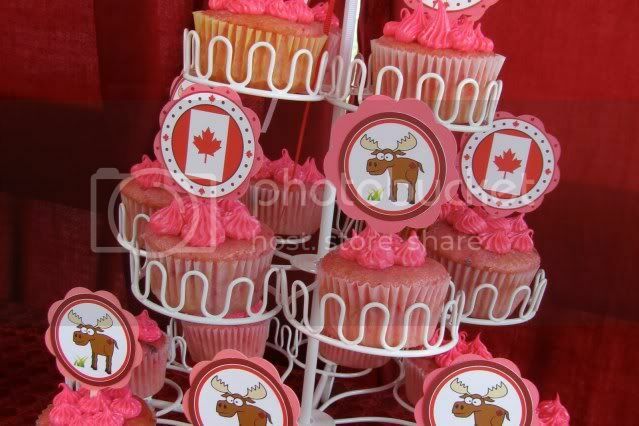 I've been to Canada several times and love it! Maybe next year I'll have to host a party like this. I don't know though that we do it up as much as the u.s for celebrating holidays. 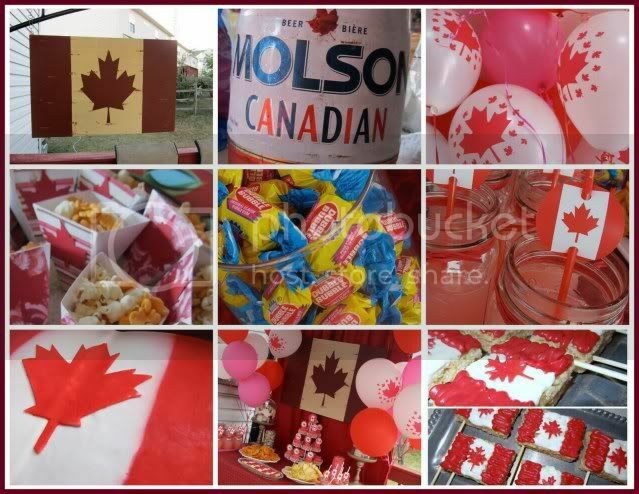 That is a lot of Canadian spirit !!!!!!!!!!!!!!! This is a great party! Thanks for the shout out! 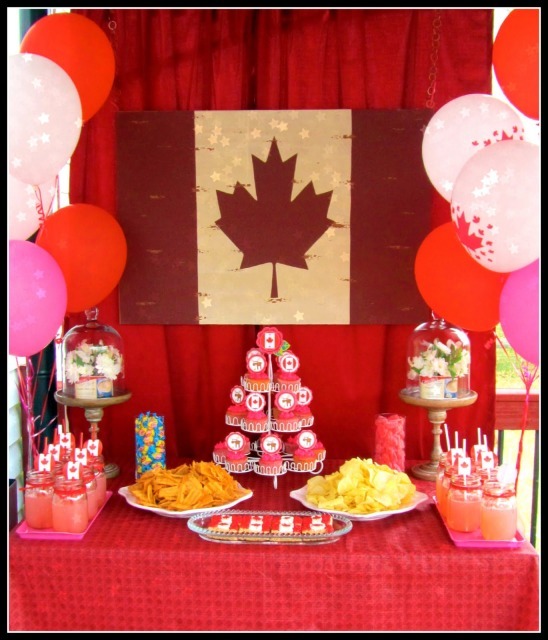 This is a Canadian reader having lots of fun planning my son'd first party! I'm in Canada, thank you so much for including us! 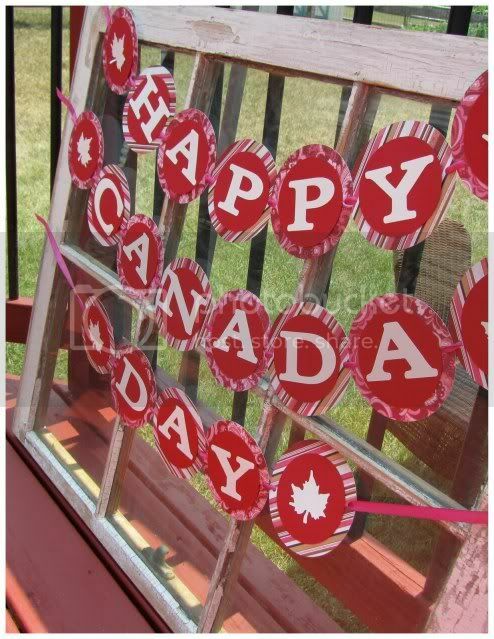 The only other site that I saw mention Canada was making fun of the fact that we had a day to celebrate ourselves. Doesn't make you feel very good. This beautiful party made me miss home terribly (my home in Ontario - I live in Pennsylvania now), but also made me smile! I can't wait to throw a Canada Day party like this for my American friends next year! Yay! I live in Canada and follow you all the time... you are super talented with great ideas! Thanks for all you do!